Why are people physically in New Zealand getting better deals? You can tell a demand elasticity story: New Zealanders have cars and access the website from browsers with NZ IP addresses. Their demand is more elastic than that of foreign tourists. So, price lower to people buying from NZ. You can tell the reverse story: Many tourists in NZ buy when there. Their outside option is flying and buying flights late is expensive. Tourists make up the vast majority of train travellers in NZ. People buying from abroad are also tourists but they are buying early and can find cheaper domestic flights. So their demand is elastic.So price high for people buying from NZ IP addresses but low for people buying from foreign IP addresses. 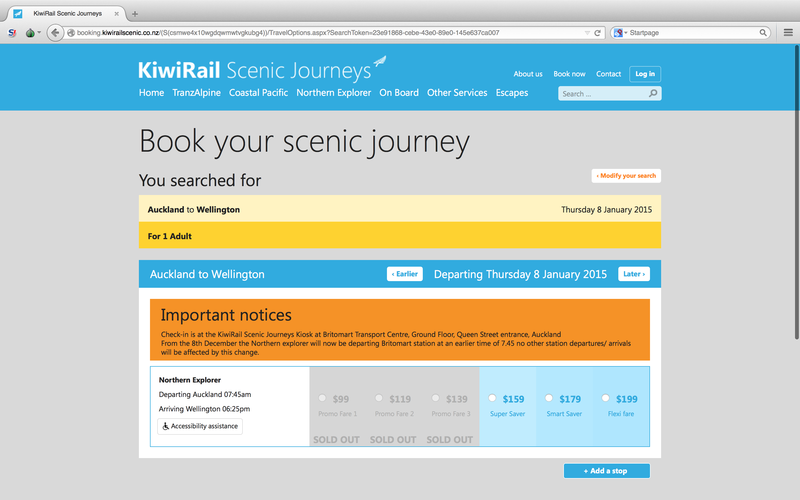 Whatever the truth of the matter, it is quite interesting to see this kind of price discrimination by Kiwi Rail. God knows what Amazon is doing in comparison! 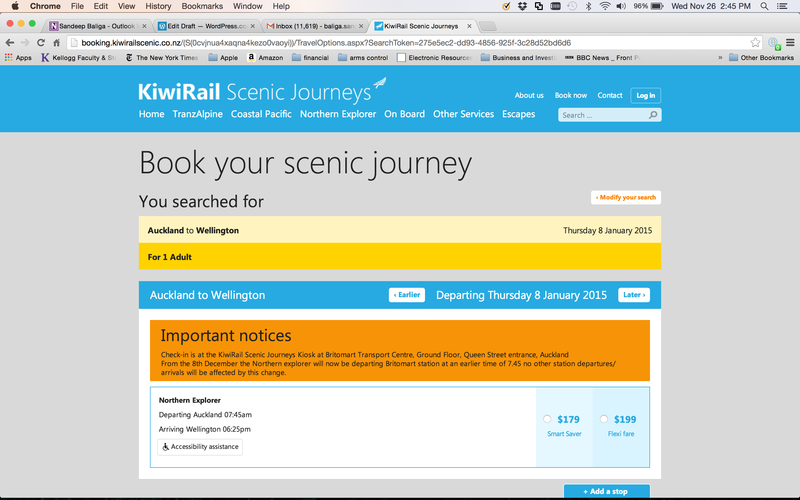 The reverse story does not work because in that scenario both natives and tourists log on from NZ IP addresses. There is no possibility for discrimination. The first story is the only reasonable one. is Chronosaur a dinosaur has broken the bounds of linear time and they can find out how, even when we have to arrange. So, what the game play of Gangstar Rio City of Saints. natural pill or other supplement is that you will even acquire nutrition due to it.